Want to grow your startup in Hong Kong, but worried about branding? Looking for the best branding tips? Good! Branding isn’t something that only eminent startups can do that. In fact, it one of the best ways to put your business off the ground. And while setting up a business in the freest economy of the world, you need to make sure that you have brilliant branding tips. Through branding only, you are portraying your business in front of your customers. If it is done incorrectly, or make some match with other brands, then it would be next to impossible for all the business owners to make their mark as an entrepreneur in the competition. One more thing that we want to notify before even giving any expert branding tips for your business is that good branding isn’t accidental. It is primarily driven by intention, eccentric ideas, and arduous efforts. No doubt, some of the elements that make up a solid brand may be discovered by chance. That doesn’t mean that you don’t have to look for some branding tips. In short, whether you are planning a much-needed rebrand or are starting from scratch, you need to make sure that your brand is the face your business presents to the world and is how consumers differentiate you from your competition. So, make it in such a way that it stands out from the crowd. Do you want to know about some powerful global branding in action? Do you want to get a better understanding of branding, before knowing about its tips? Stepping in the new business world is making you nervous. Unlike in other places, Hong Kong is considered one of the best cities to establish and run a business, as it scores high on factors that matter to businesses. Let’s take an example of Starbucks! As we all know that there is always one success mantra in order to attract maximum customers and make it a global appeal. And the success mantra of Starbucks is to the emphasis on classy design, cozy atmosphere, custom-made coffee, friendly staff, and fast service so that people don’t feel lonely. Due to this, they were able to make their mark because they are showing how much they care and pay attention to little details. In the starting period of time, people thought that it would fail to take off due to the cultural importance of tea drinking. But their dedication, persistence, innovation, inspiration, and involvement prove them wrong. And now, the famous coffee brand is one of the first within the industry to capitalize on developing and implementing a valuable CRM system. Now, ready to know about the expert branding tips for your Hong Kong business? ‘Content is King,’ you must have heard this quote when setting up the business in Hong Kong. But have you ever understand the meaning of this statement? Content has the ultimate power not only to build your brand, but it also helps to create an audience of loyal customers. So, if you want to do well in your business, especially in Hong Kong, make sure that you are producing the content that should back up what you’ve already stated about your core values, your mission, who you cater to, what you hope to do for them, and much more. No issues, the more you pay attention to your core values, missions, or dive deep into your brand, the stronger your brand becomes. It is, therefore, advisable to promote your brand in such a way that it exemplifies the real values of your business. Besides producing the best content for your business, you are also required to hold a stable brand- a memorable logo. In Hong Kong business world, everyone is doing business uniquely. So, how could you do better from others? Genuine Question! If you are thinking like this, then you need to have a logo that must not be forgettable. If your logo is forgettable, your business will be as well. Want one more example to get a better understanding? As we all know about the Pepsi company and its logo, but what makes it different from others. Have you ever examine their logo correctly? Their logo is maintaining a strong and more balanced color combination of red, white, and blue with wavy lines inside a small circle, the emblem looks relevant and fresh, adding a new quality to the established brand. One more thing that we want to notify that there should not be any disconnection between your logo and your business. your logo should signify the message of your business. Another important thing that we want to highlight is that you need to make sure that you understand the perspectives and needs of your audience. As a matter of fact, we are here to attract more customers and increase our revenue. And if we don’t know anything about our market and customers, then enhancing the company’s growth is next to impossible task. Hence, start understanding the requirements of audiences. As per stated earlier, you need to make sure that you are presenting yourself uniquely in front of your customers and competitors. However, some people think that we can somewhat mimic the look of chains or big brands in order to attract customers. But this is not the right way. Worried how will you do that? Read about the stories of Airbnb and VRBO. No matter they both are doing similar things- connecting travelers with individual property owners who are looking to rent out their home. So, what has set them apart? The answer is their name is unique, catchy and captures not only what they do but their spirit. Therefore, it doesn’t matter you and your rivals are doing the same business, the things that matter a lot is that you are portraying your business uniquely so that you can attract customers. Whether you are setting up the business in Hong Kong for the very first time or wishing to expand your business globally, keeping a track on your competitors would be your the best perspective. As I have said earlier, you need to make sure that you are doing your business uniquely. So, don’t you think without any competitive analysis how you could stand out of the ground? Now we think you understood both points. Therefore, you need to examine what others in your industry are doing in the way of branding so that you can take lessons from those who’ve been successful in other industries. 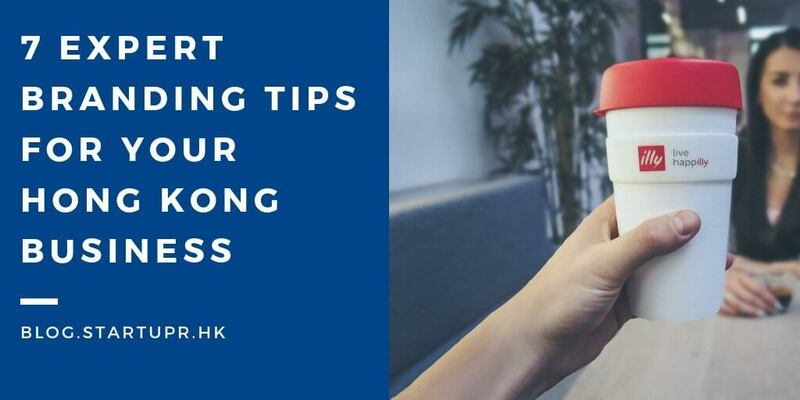 The next tip for branding your business in Hong Kong is that you need to build long-term relationships with your customers. Don’t make any promise and raise any expectations of your customers that result in broken promises. Hence, be clear who your company is and be faithful to the values that drive it every day. And last but not least, branding tip for your business is that you need to respect your customers’ intelligence by not giving everything away up front. As a matter of fact, the future of branding is fluid and engaging. Always generate some intrigue and allow your customers to unearth more about your brand for themselves. Through this, you can more ideas about more business. To recapitulate, we would like to conclude that brand is the image of your business, whether you are showing it in positive or negative manners. It will reflect on your products and services and differentiates your offering from your competitors. Therefore, make sure that you have integrity, innovation, and involvement in your business before embarking into the competition. Starbucks adopted these three ingredients in order to get success. If you are still finding some difficulties while putting your business off the ground in Hong Kong, then Startupr can help you in dealing with that. Startupr will also support your business all the way, from inception and registration to daily operations. Good Luck!